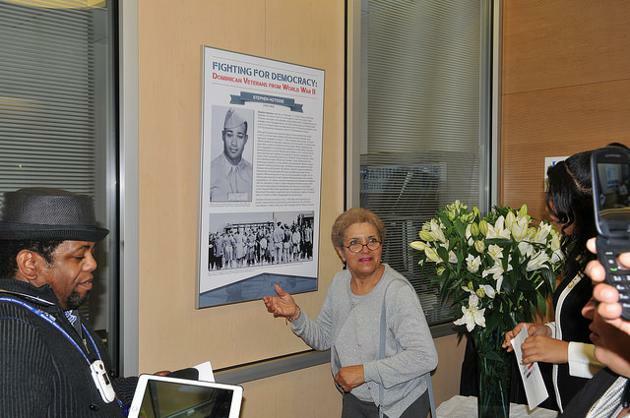 The Dominican Studies Institute has unveiled the first known Dominican soldier to serve in the famous squad during World War II. 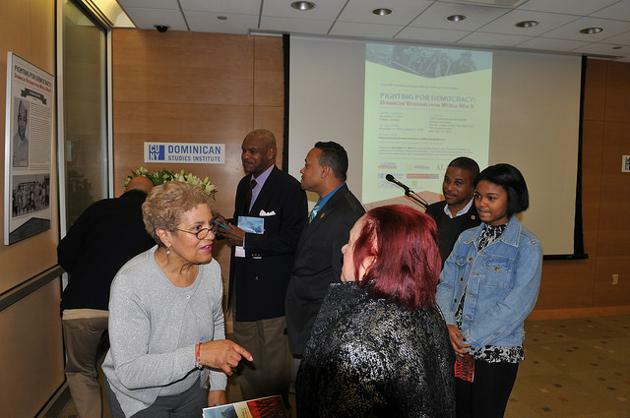 An exhibit that opened Wednesday at the City College of New York pays tribute to Dominicans who served in the U.S. armed forces during World War II. Among the honorees will be Esteban Hotesse, a Dominican native who immigrated to the country as a child, enlisted during World War II, and served in the lauded Tuskegee Airmen brigade. 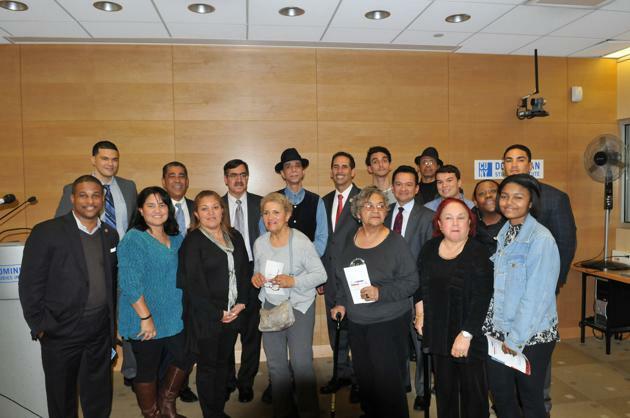 A determined academic, Edward De Jesus, made the discovery during a three-year research mission into the role of Dominican servicemen and women “who made significant contributions to the war effort or who made significant contributions to society” says De Jesus, a research associate at the Dominican Studies Institute at CUNY. “It’s exciting. It’s been rewarding for me to find out something that is not known to the public, to show people something that they’ve never seen before, that they’ve never heard before,” De Jesus says of the discovery. As a dark-skin member of an all-black unit, Hotesse "was among a group of 101 Tuskegee Airmen officers arrested for refusing to follow Jim Crow orders from a white commanding officer at a base near Seymour, Indiana, where the KKK had a strong presence. This act of disobedience later became known as the 'Freeman Field Mutiny'," De Jesus said. Hotesse, who enlisted in February 1942, earned the rank of second lieutenant. At the time of his enlistment, he was living in Manhattan with his wife, Iristella Lind, who was Puerto Rican. 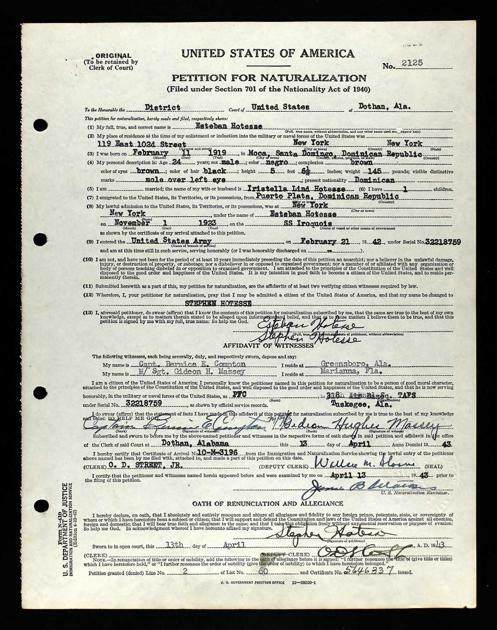 They applied for U.S. citizenship in April 1943 after he'd served almost a year. The couple had two daughters before he enlisted. Today, his daughter resides in New York City and two granddaughters live in the South. 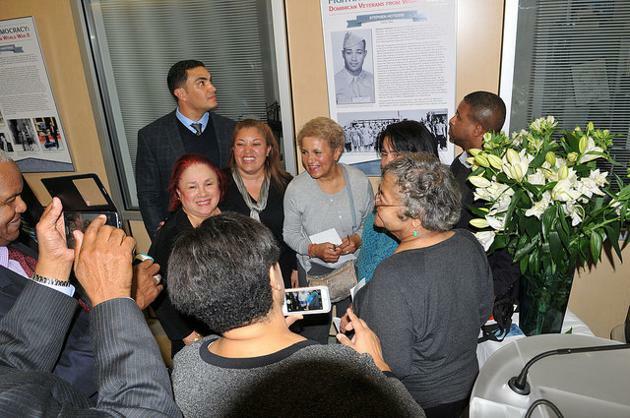 One of Hotesse's granddaughter, Iris Rivera, on the night of the exhibit opening donated a collection of photos and articles featuring him, including photos of him and his family, and articles related to the Freeman Field Mutiny. The exhibit runs through March during normal business hours at the Dominican Studies Institute Library. This article was updated as more details became known about Hotesse. Hotesse’s 1945 obituary (above) in a Dominican paper lists his cause of death as a B-25 crash in the Ohio River in Indiana. Esteban (Stephen) Hotesse was born on February 2, 1919 in Moca, Dominican Republic, and he came to the U.S. at the age of 4 with his mother, Clara Pacheco, who at the time was 25 years old. Hotesse was also accompanied by his sister Irma Hotesse, age 2. They came through the famous port of Ellis Island and, like many Dominicans at the time, went to live in Manhattan. Hotesse enlisted in the Army during World War II, made second lieutenant, and became a member of the Tuskegee Airmen, the first all-black group of military pilots in the U.S. Armed Forces. These images were captured at the opening reception for the photo retrospective. In attendance were Stephen Hotesse's descendants, daughter Mary Lou Hotesse, granddaughters and other family members. Addressing the crowd, Maru Lou said that the exhibit was helping her reconnect with the Dominican side of her since her father died when she was three years old. For other members of the extended family, event was a reunion of sorts given that they are spread around the country.